With this new year in full swing I wanted to share with you a super quick idea to help you get organized. I am sure I am not alone in saying that keeping up with active kids and a full family schedule is tough. Year after year we have tried different types of calenders, white boards, booklets and such just to keep communication in our family open. THEY NEVER WORKED… well for us that is. I realized that rather than to try and keep our schedule, notes and appointments hidden or mobile, It would probably benefit us more if ALL of us had access and it was easily viewed by ALL. WIth just a few simple supplies, we created this statement style house hold calender. 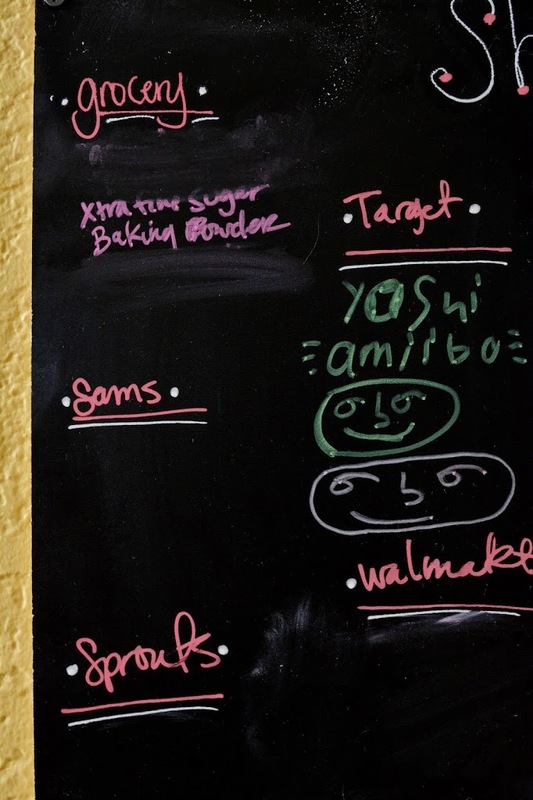 My favorite part of this project is that we use the Marvy Uchida chalk bistro pens (which do not leave dust like chalk). These are my new favorite find from 2014. They are AMAZING and actually make it into my artwork once in a while too. 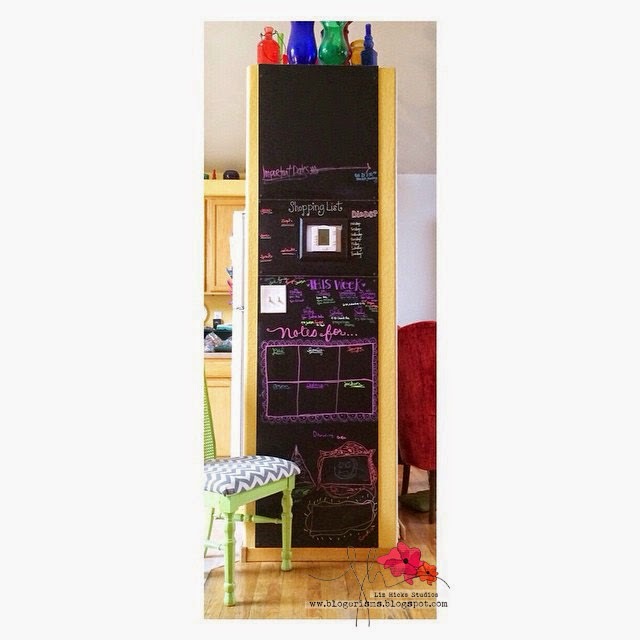 Create this gorgeous statement message board with just 3 items. To create this board, first find a wall that is at least 2 ft across. The panels are 2×3 feet making them a great size to use alone or add two together and make a larger board (as shown here). After you remove your hardware and electrical outlet covers from the wall, layout your panels as you want them. 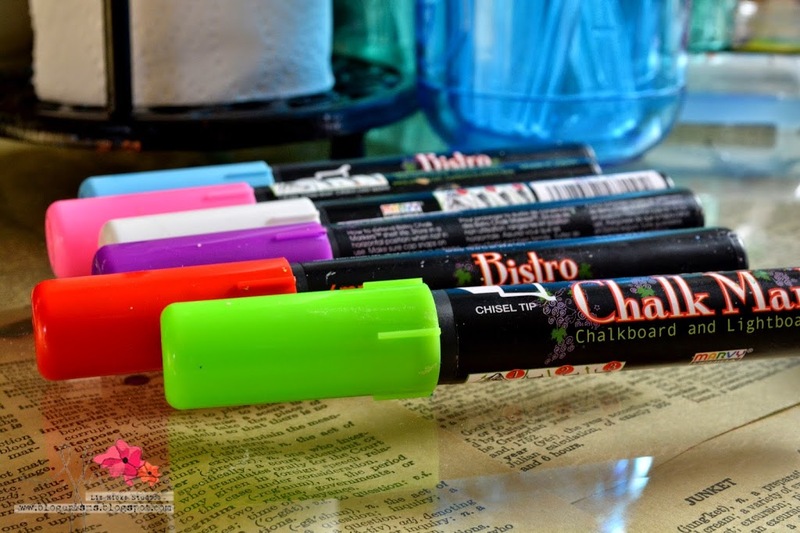 To accommodate for these items, lightly rub your chalk pen along the opening of our outlet and press your board against it to create a marking on the back side of your panel. Now that you have a marking on the backside of your board of where your outlets will be, take a saw and cut out these items. If you don’t cut it exactly you can always place an inexpensive frame to help make the cut more appealing. Now that your panels are ready, glue the panels onto the wall with wood glue (press firmly onto wall, remove then press again). Or if you don’t want to panels to be permanent you can always just use screws. TIP: Make sure to screw your panels into studs if not use appropriate screw anchors to keep your boards from falling down. *optional– You can also trim your boards with a little molding to help finish it off, we bought some with the intentions of doing so but were really happy with the way the boards looked just as they were. Here are a few different items that we use on our board that have really helped us communicate as a family and keep up on doctors appointments, events and meetings. 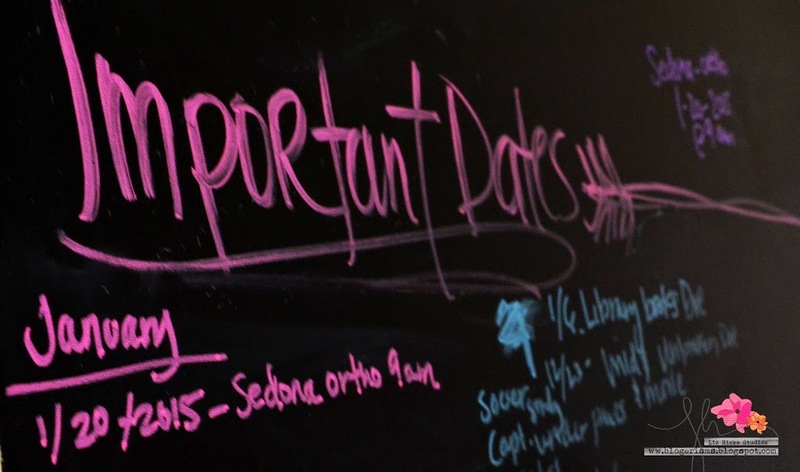 Important Dates: This is where we put dates of things coming up, things that are not regular or any time soon but that will need to be remembered. 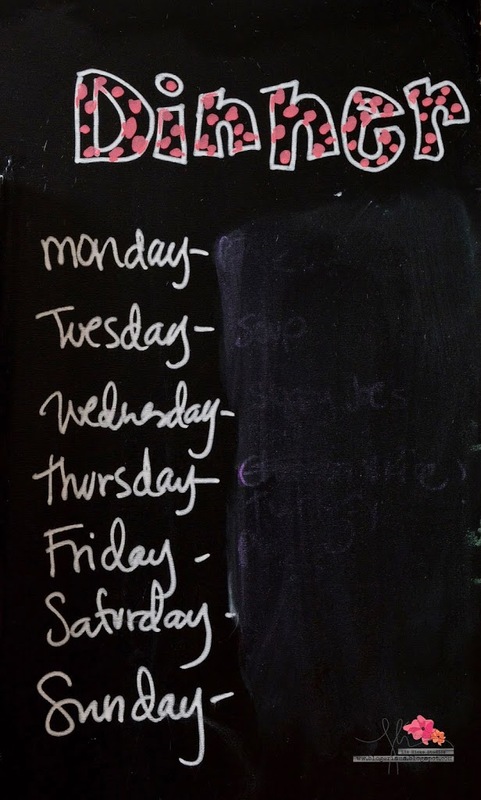 Dinner List: This is where our weekly meal plan goes. This is a super flexible plan as well, things hardly even go as planned lol. I also don’t account for left overs so this always leaves me some meals to start the next week with. PLUS if I am not the one cooking, this gives who ever is cooking the idea of what to do for the that evening. 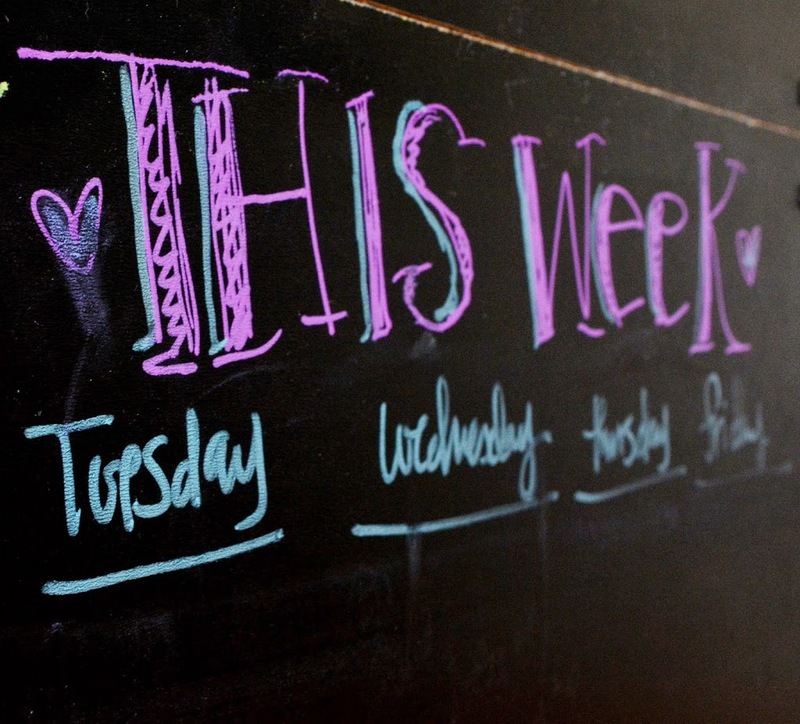 Weekly Schedule: Under each day of the week we write what our schedule is in our family color coded pen. We each have a different color pen so we can see our schedule and how it impacts others each week. This also helps to know who left you the message because it will be written in their color of chalk marker. Upcoming month appointments: This helps a TON to keep track of what is coming. These dates are in a holding pattern till the time they are to be put on the weekly schedule. 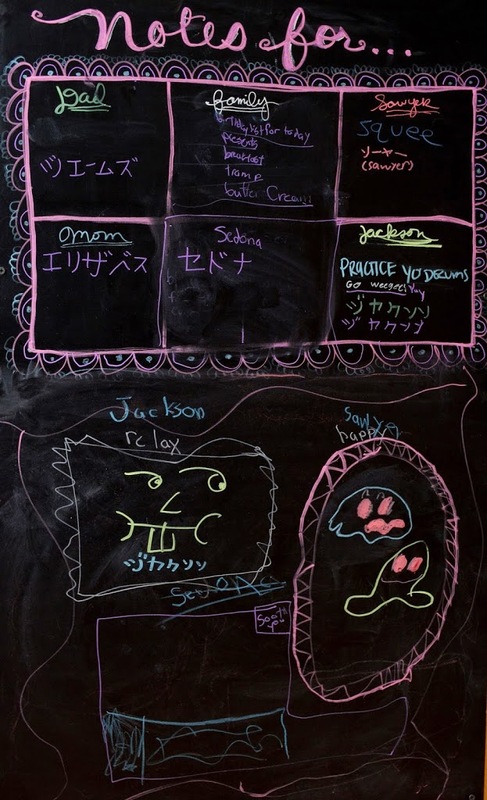 Family message board:This is a place to write messages to each family member… more or less it is a place for our families inside jokes or for my son to practice Japanese which is his new interest. In an ideal world it would be a great place to leave notes for family members when schedules get super busy… we just are not there, lol. Doodle station: The doodle station is a place for the kids to just draw, leave funny quotes and just be themselves. It is hilarious the things we find there. You can see just how easy it is to put this calender station up in your house. We have had this since June of 2014 and it has been a lifesaver. If you are wondering where you can find the pens, check out stores like Hobby Lobby, Art supplies stores, and even amazon. They are amazing around the house. Thanks for checking in with us this year… I hope this calender gives you some good ideas on how to keep you and yours organized this year. Its definitely not fool proof, so we do have to constantly adjust for our family… but that is the beauty of it all. You just go with it, stay flexible and press on the course of life. Make sure to check out my friends too! This post is one of many that I will be doing this year for the theme THRIVE. This year I will be sharing how the word THRIVE encouraged me to re-evaluate and organize my life. I will be sharing tips on how I work to THRIVE in family, relationships, community and in my art. I hope you’ll join me. You can follow this as well as other free classes and tutorials through my facebook page (liz hicks studios), twitter (lizmhicks) instagram (liz_hicks) and tumbler (liz hicks) I use the following hastags for this. Or you can sign up for our newsletter here! Thanks again, and happy New Year to you and yours!